Having dealt with some of the issues of the linguistics of the mantra , I want now to look at the mantra as a text. While in the Tibetanised version the main theme is taken to be purification of karma, in the corrected Sanskrit one of the other themes emerges into the foreground: samaya. Samaya is our relationship (or agreement or meeting place) with Vajrasattva, the embodiment or personification of the Dharmakāya. I want to explore the nature of this relationship in various terms which will demonstrate some continuities. Firstly let me say a quick word about the purification of karma. I showed in my published paper on confession  that from the point of view of early Buddhism willed actions (karma) inevitably produce results (vipaka). The fruits of actions cannot be eliminated or 'purified'. However they can be mitigated and I cited several texts which explore how this happens. In a footnote to that article I also noted that in later versions of the Samaññaphala Sutta this doctrine began to change. Whereas in the Pāli the story of King Ajātasattu confessing to the Buddha that he has killed his father is only the frame for a larger doctrinal exposition, in the surviving Sanskrit fragment and three Chinese translations Ajātasattu's confession is the main focus. In the Pāli version there is no way to prevent the devastating effects of his actions (patricide is one of the five unforgivable acts), and the commentary on the story tells us that at death he goes straight to the Hell of Copper Kettles. The later versions all make his meeting with the Buddha transformative and state that, to varying degrees, Ajātasattu is released from the effects of his 'unforgivable' actions. Indeed it seems that this became an important theme in Mahāyāna Buddhism and is epitomised by the Tantric Vajrasattva as purifying through the recitation of his mantra. The theme of samaya is distinctively Tantric, though it has resonances with earlier traditions. Samaya, as I have explained, means 'agreement, meeting, meeting place' and could also be translated as relationship. The idea is brought out quite poetically in Kūkai's expositions on kaji (Sanskrit adhiṣṭhāna) which I wrote about some time ago as grace. The idea is that it is not just the practitioner reaching out towards a remote and disinterested goal, but that the Dharmakāya is doing it's bit to reveal itself. Lest we become too theistic about it I want to unpack this idea. In the Heart Sūtra is says that all dharmas are marked by emptiness (sarvadharmāḥ śūnyatā-lakṣanā). This is entirely in keeping with the earliest (pre-abhidharma) notions on the nature of dharmas. Dharmas are the units of experience, both the information from the senses, and the mental aspects consciousness such as memory, associative and inductive thinking. 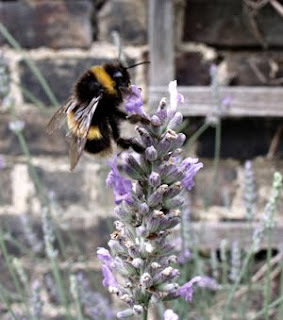 Experiences, the focus of discussions of dependent arising, have no ontological status - they are not solid existence 'things', nor are they non-existent. As Nāgārjuna observed the terms existent and non-existent do not apply to dharmas (and therefore to experience). All that we know and are conscious of results from contact between objects and sense organs giving rise to dharmas - in this sense the word means 'foundation'. However we do not treat experience this way: we take it far more seriously than this, as existent and important. We spin stories about it which we believe and invest with value, a process known as prapañca. Hence we make our fundamental errors which lead to suffering. Now the samaya with the Dharmakāya says something like: if you seek, you will find. In other words the true nature of experience is always able to be discerned, it can't be permanently hidden from us. If we go about it the right way, we will see through (vipaśyanā) our delusions. This is an important aspect of Buddhist faith. The guarantees that Awakening is possible come in many forms amongst which Tathāgata-garbha, so-called Buddha nature, stands out as a good example. Buddha nature, like this samaya, is designed to set your mind at ease about the possibility of your liberation. Likewise the samaya uses the model of an agreement between two parties to assure us that we can realise the Dharmakāya. I see the mantra as a dialogue, or even perhaps as a dramatisation of this relationship. On the one hand the chanter is reminding Vajrasattva, as an embodiment of the nature of experience, of his side of the relationship: we need the possibility of gaining insight into the true nature of experience to remain open to us, so that we can be liberated. On the other hand the seed-syllables are Vajrasattva's response to us. Vajrasattva reminds us that it is we who project onto experience. That he, i.e. the nature of experience, is always available to us, and that in fact nothing can ever change that. Śūnyatā, pratītyasamutpāda, Buddha Nature, etc: these are all ways of pointing to the nature of experience - saying the same thing in different ways. Vajrasattva replies in non-linear, non-rational fashion because typically it is very difficult to think straight about this subject. Typically we are completely caught up in, or intoxicated with (pramāda), our stories and we cannot really think outside that narrow context. In Tanric terms oṃ āḥ and hūṃ represent not just our mundane body, speech and mind, but also the Three Mysteries (trighuya) the 'body', 'speech', and 'mind' of the Dharmakāya which are communicated through his use of mudrā, mantra, and maṇḍala. These three also become the technology by which we align our body, speech and mind with the Dharmakāya and become enlightened. The nectar of the deathless (both words translate as amṛta) is always available for beings in saṃsāra! The Hundred Syllable Vajrasattva Mantra - includes the Sanskrit text and my annotated translation. Aspects of the Hundred Syllable Vajrasattva Mantra I - speculating about the process by which corruptions occur in a mantra/text like this. Samaya is a complex term. It also covers our relationship with our guru, and with all sentient beings. Samaya can additionally mean 'vow', that is the vows that taken in conjunction with abhiṣeka. There are many different explanations. Did King Ajātasattu Confess to the Buddha, and did the Buddha Forgive Him?' Journal of Buddhist Ethics. Vol 15, 2008. In my annotated translation of the Hundred Syllable mantra I tried to convey what the Sanskrit text of the mantra was and how it might be translated  - I did this in such a way as to open up the meaning and allow anyone to produce their own wording. There is a lot more to say about this mantra. Here I want to look at why the mantra might have been misread to produce a garbled version. Tantric Buddhism is generally agreed to have begun in the 7th century in India. It continued to develop until Buddhism died out in India, and long afterwards in the surrounding nations of Bhutan, Ladhakh, Nepal and especially in Tibet. Having been conveyed to China and the far east, this stream of transmission (and back transmission) was cut off with the demise of the Silk Rd, and the collapse of the Tang dynasty in the late 9th century. Some scholars see the much earlier dhāraṇī tradition as being "proto-tantric", but this is like saying that flour is proto-cake. Tantras were on the whole composed in Buddhist Hybrid Sanskrit, with the exception of the Kālacakra Tantra which was composed in Classical Sanskrit. BHS is an inflected vernacular language which has been modified to be more like Sanskrit. This was a general trend and even Pāli has been Sanskritised to some extent. My view is that mantras are also in BHS rather than Classical Sanskrit - the -e ending on so many words being not, as many scholars assume, a feminine vocative, but a masculine nominative singular. [See words in mantras that end in -e]. Writing during this time was somewhat different to present day. The script in widespread use in Northern India at the time is known by several different names but is now generally called Siddhaṃ (perfected) or Siddhamātṛka (matrix of perfection). A version of this script, adapted for writing with a Chinese calligraphy brush, is preserved in the Chinese Tripiṭaka for writing mantras - even when they are also transliterated into Hanzi. 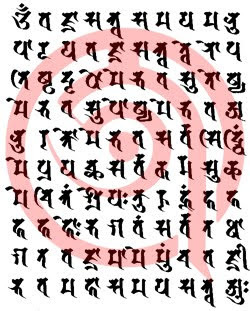 The Tibetan script dbu-can (pronounced Uchen) was designed on an early model of the Siddhaṃ script. In the latter part of the Tantric period the script which is now often no referred to simply as Sanskrit, but which is more correctly called Devanāgarī (City of Gods) began to supplant Siddhaṃ. As I noted in my translation there are several ways to clump the syllables into words. The first four naturally form the name of vajrasattva. But this leaves sa ma ya ma nu pā la ya. If we are versed in Tantra but not so much in Sanskrit we might be attracted to the word samaya. Because this is a mantra we may not be expecting formal grammar, so we might take that as a unit. This leaves us with manupālaya. This is not well formed Sanskrit, but it has familiar parts (exlpained in my translation). I can't say how often as a neophyte Sanskritist I have fallen into a similar trap. The problem is that when a word ends in -m and the next word begins with a- the two are combined into a single syllable ma for the purposes of writing. So sa ma ya ma nu pā la ya is actually samayam anupālaya 'uphold the agreement'. In spoken Sanskrit this error would be less likely to occur. A more crucial error in reading occurred further along. This phrase is at the heart of the use to which the mantra is put - the purification of karma. Let me review what I think may have been the procedure for understanding this based on my own experience of reading an unfamiliar Sanskrit text. Keep in mine that we know this is a mantra and mantras seldom follow grammatical rules so we're not expecting to see grammar. Several familiar words stand out: sarva (all), karma (action), cittaṃ (mind) kuru (make). This leaves some bits and pieces. Some thought shows that śreya is related to the word śrī, and that me is 'me' or 'mine'. We're left trying to explain su ca. Suca (often spelt sucha to avoid the confusion on how to pronounce c in English) isn't a word, but it is similar to words related to √śuc 'to gleam' figuratively 'to clean or purify'. The basic form is śocati, past-particple śukta, infinitve śuktum, 2nd person singular imperative śoca. Close enough for a mantra. So sarva karma suca me by this process means 'purify all my karma'. And cittaṃ śreya kuru means 'make the mind more śrī'. In fact su goes with sarva-karma to give the locative plural sarvaskarmasu and the ca is the copulative particle 'and'. Sarvakarmasu ca means 'and in all my actions', and the rest me cittaṃ sreya kuru means 'make my mind more śrī'. Śrī has a very broad range of meaning and I chose 'lucid' because that conveys the sense of light which underlies śrī as well as being an auspicious state of mind. Well formed Classical Sanskrit sentences do not just form at random. The chances of taking any series of syllables, gathering them into clumps, and finding sentences is vanishing small. Garble is far more likely, and more commonly encountered in mantras. This means that the best explanation is that the formal Sanskrit we find in the mantra when we fiddle with word breaks is very likely the original text. Given that the mantra was composed in Classical Sanskrit it suggests that it may well be from the same milieu that created the Kālacakra Tantra. A corollary of this is that the mantra only gained its association with the purification of karma after it had been garbled and that this was not the original use of the mantra. Not only that, but the way the message is garbled suggests to me that the mantra was passed on without an explanation at some point, and then later on an exegesis was composed based on the mis-read rather than a mis-heard Sanskrit text. Indeed I wonder whether the text was passed on in written form because an oral tradition would have preserved the Sanskrit rhythms of speech that would have made this kind of mistake quite unlikely. I would imagine that this did not happen on Indian soil. This finding of the original text, and my conjecture about it, creates a significant tension with the received tradition which revolves around purification of karma. In my next post on this subject I will explore some implications of this tension, and look at the theme that emerges into the foreground when the spurious reference to purity is removed: samaya. In my translation I relied heavily on notes by Dharmacārī Sthīramati aka Dr Andrew Skilton published privately as: Sthiramati (aka Andrew skilton). 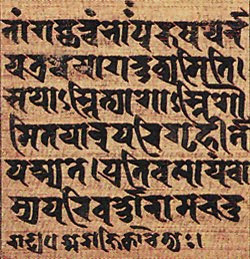 'The Vajrasattva Mantra : notes on a corrected Sanskrit text'. Order Journal. vol.3 Nov. 1990. In this article Sthiramati makes it clear that a great deal of work remains to be done on the history of this mantra. Several fragments appear in other contexts for instance. I don't have the resources to carry out this research but perhaps someone else will one day (it might make a good dissertation).